Mr. and Mrs. Robert C. Stoeckel, 217 Highland Avenue, Clarks Summit, will celebrate their 50th wedding anniversary on May 30 with an Open House reception hosted by their children, from 2 to 5pm at their home. They were married on June 2, 1926 by the late Rev. Mr. Joseph Smith in the Moscow United Methodist Church. Their attendants were Gladys Mitchell Gilpin, niece of the bride, and George R. Stoeckel, brother of the groom. 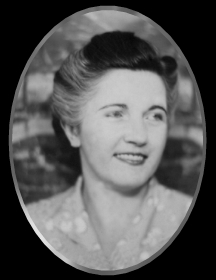 Mrs. Stoeckel is the former Madelyn Batzel, daughter of the late Lewis and Frances Perry Batzel. 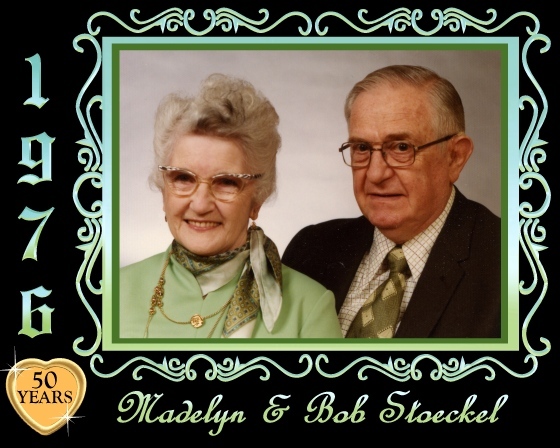 Mr. Stoeckel is the son of the late Emil and Ann Brodie Stoeckel. Mr. and Mrs. Stoeckel are the parents of three sons, Robert Jr., Clarks Summit, foreman for the Pennsylvania Gas and Water Company; Gene, Justus, employed by Dairylea, Inc.; and E. Carl, Clarks Summit, proprietor of Keen's Pharmacy. They also have six grandchildren. Mr. Stoeckel retired on May 1, 1972 after 46 years with the Pennsylvania Gas and Water Company where he was supervisor of the meter reading department. Mr. and Mrs. Stoeckel are members of the Clarks Summit United Methodist Church.